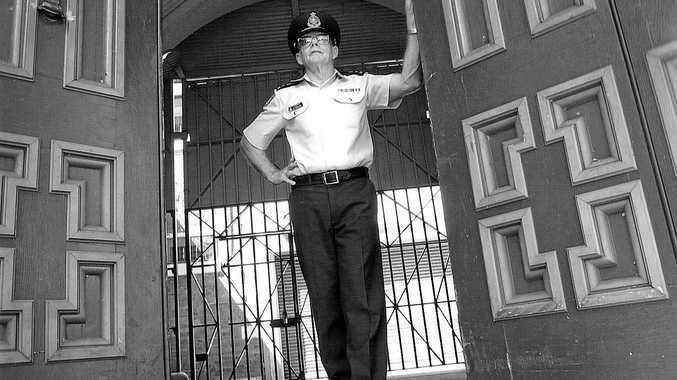 John Heffernan about to begin work as Grafton Jail governor in 2003. THE last governor of Grafton Jail has ridiculed a push to give drug-addicted prisoners access to a needle exchange program, saying it was tantamount to guards surrendering to the illegal flow of ice and heroin. John Heffernan saw more than his fair share of violence and drug addiction among inmates during his three decades with the NSW Department of Corrective Services. Now in his retirement, he is witnessing something very different - groups including the World Health Organisation and the United Nations, and even the ACT Government, calling for prisoners to be given free access to clean needles. The idea of allowing incarcerated criminals free access to drugs might seem counter-intuitive. To Mr Heffernan, that is definitely the case. "They will never get it through in New South Wales," he said. 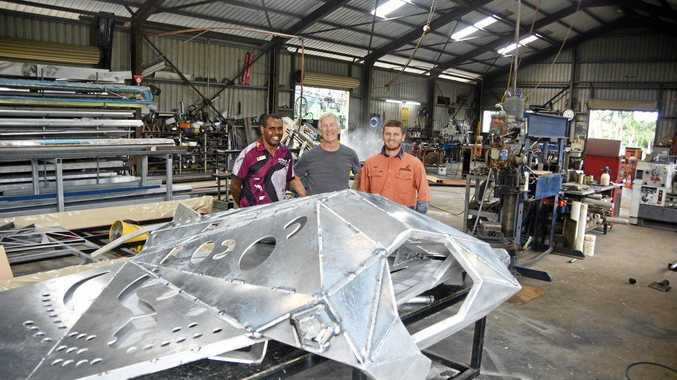 "They're trying very hard to get it through in the ACT but I don't think it will get off the ground. "It's just a total contradiction. It's basically getting prison staff to oversee inmates taking illegal drugs - that's crazy." Mr Heffernan said one justification for the syringe exchange program push - apart from an effort to stem the spread of diseases such as hepatitis C through dirty needles - was that a jail's deprivation of one's liberty was supposed to be its entire mode of punishment. "But does that mean everything they can get on the outside, they are entitled to on the inside?" he asked. "Are officers meant to just accept that inmates are going to smuggle drugs into the jail, despite everything we do in the jail system being designed to stop that happening?" Mr Heffernan conceded drugs made it past prison security, but argued that did not mean the Department of Corrections should simply surrender. "There are all manner of ways visitors can bring drugs into the centre," he said. "Some officers have crossed the line and have, on occasion, been found to bring drugs in. "By far the main source is through contact visits." Contact visits and phone calls were prohibited in the state's jails prior to the 1976-78 Royal Commission into New South Wales Prisons. Mr Heffernan had been working in corrections for a year when the royal commission began. He suggested reinstating a ban on contact visits was the only real way to ensure drugs were not smuggled past security. But he acknowledged a ban would get civil rights groups "up in arms" about destroying family relationships. "The royal commission introduced all these wonderful things, and we accepted it," he said. "There weren't a lot of drugs in jails before that, because there really wasn't a lot on the outside. "But when we opened the doors and allowed contact visits, that's when jails started getting swamped." Despite a growing chorus calling for prisons to be equipped with needle exchange programs and "shooting galleries", Mr Heffernan said he doubted they would ever become a reality in NSW. "I would be amazed. It's wrong on so many levels," he said. As for the new 1700-bed Grafton prison due to open 2019, Mr Heffernan he had serious concerns about how it would be operated under private management. "State-run jails are always pretty transparent in the way we operate," he said. "Private jails are a closed shop. You can't find out about anything that goes on in those private institutions. "An overseas company will be in charge of the new Grafton jail, and I have a real problem with making money out of inmates. "I think it's the government's responsibility to run jails."